Hi guys! 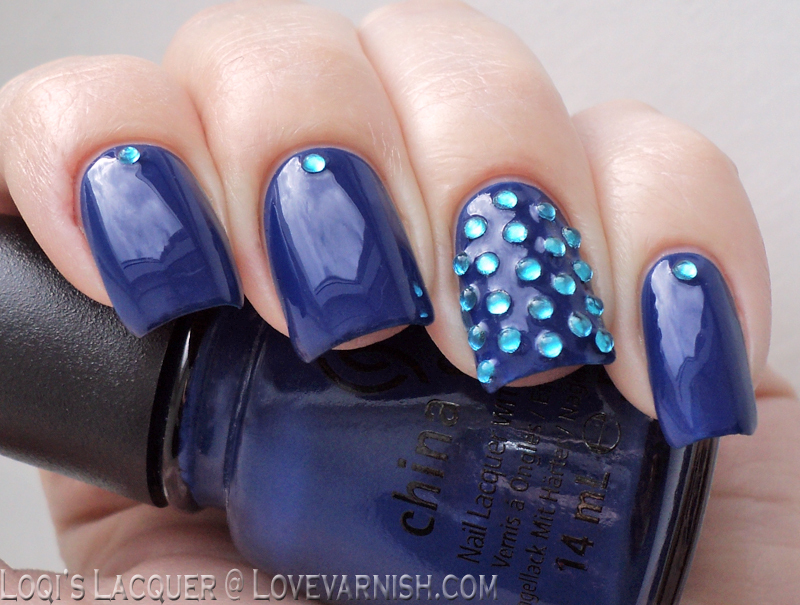 I've got one of my favourite blues for you today, China Glaze Manhunt. It's so bright and fun, I love wearing this colour! 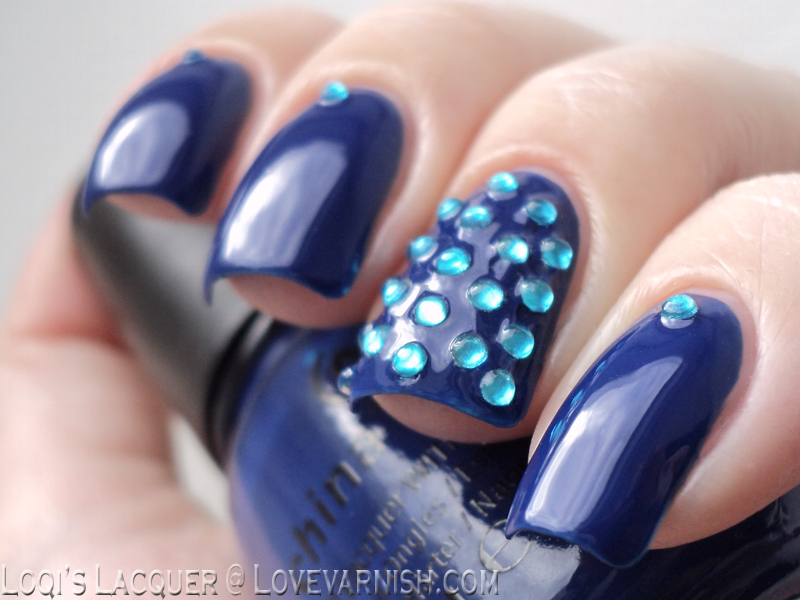 But I do like to spice it up a little bit, so for this Monday I thought I would do some rhinestones. 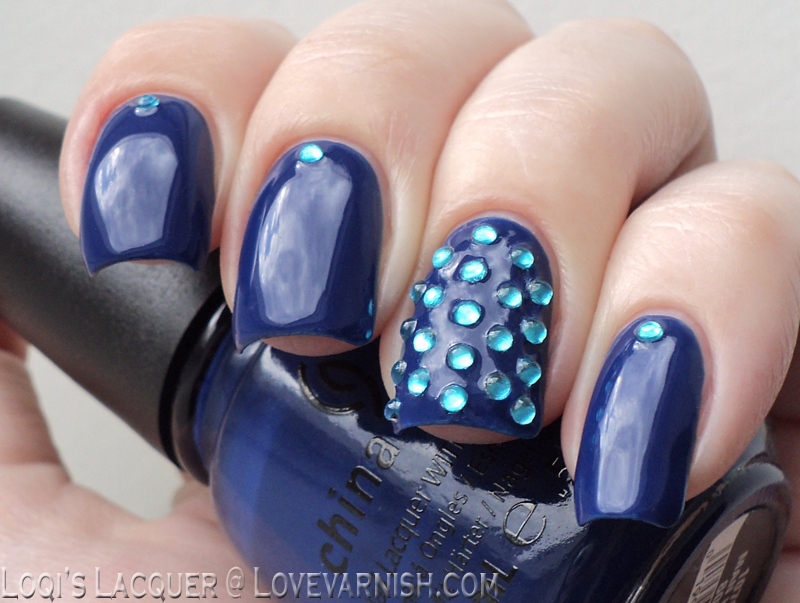 I have never done a full nail of stones or studs, so I gave that a try. I used a lighter blue, to make it stand out a little bit more and then did 5 alternating rows of stones and used a very generous amount of topcoat to make it stay put. I actually kept rubbing my ring fingernail because the texture was really funny, but the stones stayed put until I took the polish off again! I hope you guys like it and see you next week! Thanks so much Amanda :)! You get my idea Stacy :D! That's how I felt, too! Thanks Sam ♥ and I agree, it's a bit more.. fashionable? ♥ that always means so much to me coming from you! 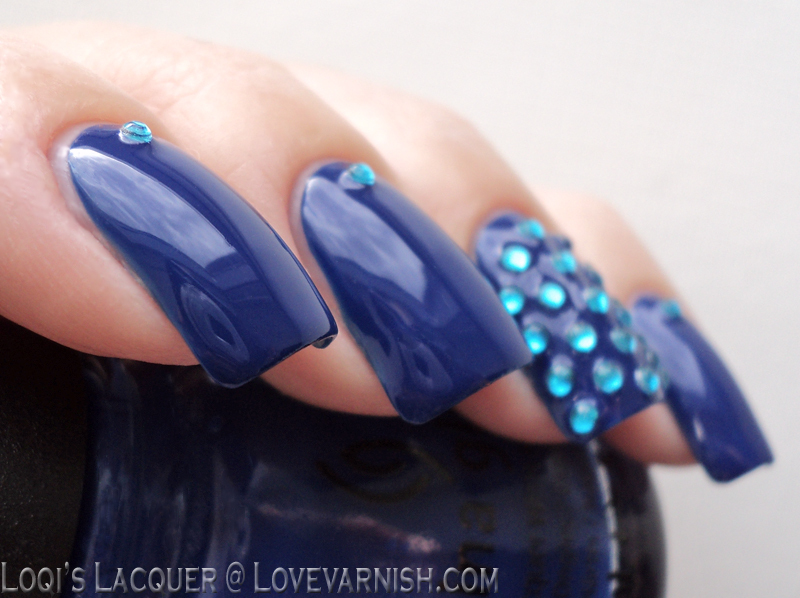 That's a beautiful shade, the rhinestones look great on top.